Buying a Home - Yes, It's a Big Deal! Buying a home is a big deal! It is typically the largest purchase a person will make. It’s important to have someone represent you through the process whether you’re buying an existing home or having one built. If you’re thinking about buying or building, below are some considerations to help you get started. 1. Start with a Pre-Qualification. Establishing a relationship with a great lender is key to success in your home purchase. A great lender will determine up front how much home you can afford, whether or not you will need to sell your existing home first, how much you cash you will need to close and what types of loans are available to you. 2. Set your budget. Now that you know what you CAN afford, decide what you want to spend. Your lender or realtor can provide you with fee and monthly payment estimates. You can also use an online calculator like this one. 3. Line up cash. You'll need to come up with cash for your down payment and closing costs. There are many different types of loans with varying fees and down payment requirements. The lender relationship you’ve established will be critical in understanding your options. 4. Choose your agent (Hint: Lisa Hassel :) ) Most sellers list their homes through an agent -- but those agents work for the Seller, not you. They are incentivized to the get the best price and terms for the Seller. You should have an "exclusive buyer agent" to advise you and look out for your interests. The seller almost always pays the fees so it won’t cost you any extra for dedicated representation. And remember that builder reps work for the builder. They do not represent you through the process. 5. Search for a home. Your first step here is to figure out what area or neighborhood you want to live in. Look for strong economic fundamentals, amenities and development potential. Pay special attention to districts with good schools, even if you don't have school-age children. It will be important when you determine it is time to sell. 6. Make an offer. Once you find the house you want, move quickly to make your bid. Your agent will provide great data to formulate a strategy and determine starting point for an offer. I will help you negotiate on many important contract points – not just price. Your leverage hinges on market as well as personal dynamics: Is it a hot property? How badly do you want the home? Are there other offers? When do you need to be in the home? When do the Sellers need to be out? Is your offer contingent on the sale of another property? 7. Enter contract. 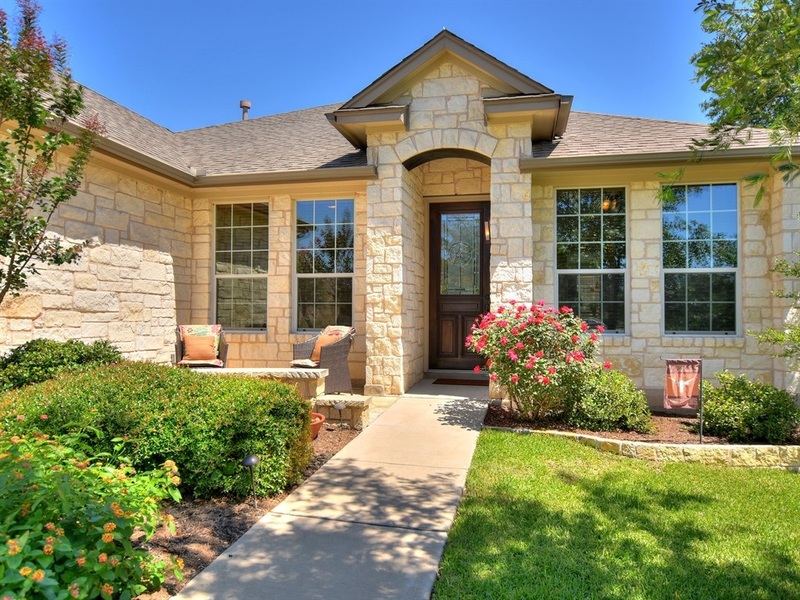 I will present a contract using promulgated forms from the Texas Real Estate Commission. Agents work to ensure you are protected during the purchase process to sure that you can obtain a mortgage, get a home inspection and meet time commitments. You will likely need to provide an Option Fee (usually $100-500), Earnest Money Deposit (usually 1-2% of purchase price). Earnest money is deposited with a Title Company and is refundable if you or the home failed any of the contingency clauses. If the sale goes through, these fees are generally credited to the buyer at closing. 8. Secure a loan: As soon as your contract is finalized, call your lender and move quickly to agree on terms, if you have not already done so. This is when you’ll choose the loan type, determine down payment and lock your rates. You’ll also go through a more in-depth credit check, provide additional documentation and obtain an appraisal. 9. Get an inspection: In addition to the appraisal that the mortgage lender will make of your home, you should hire your own home inspector. I will provide recommendations and you can seek your own. An inspection costs about $400, on average, and up to $1,000 for a big job and takes two hours or more. You should be present for at least part of the inspection. You will learn a lot about your house, including its overall condition, construction materials, wiring, and heating. If the inspector turns up major problems, we will negotiate resolutions with the seller. You may want the seller to fix the problem before you move in, or deduct the cost of the repair from the final price. If the seller won't agree to either remedy you may decide to walk away from the deal, which you can do without penalty if you have that contingency written into the contract. Home inspections are important for new homes as well and if you are building the home, a multi-phase inspection is best to identify/avoid concerns before the home is complete. 10. Close the deal. Several days before the actual closing, you will receive a final Closing Statement from your lender that lists all the charges you can expect to pay at closing. Review it carefully. It will include things like the cost of title insurance that protects you and the lender from any claims someone may make regarding ownership of your property. The lender might also require you to establish an escrow account to pay taxes and insurance at the end of the year. Lenders can require deposits of up to two months' worth of payments. Closings usually take place at a Title Company and generally run vary smoothly. You’ll want your agent to be there to answer questions and verify information whenever possible. I would be honored to help you navigate the home buying or selling process! I'm available to answer your questions at any time - no obligation!